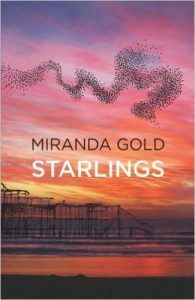 We are delighted to introduce a guest blog by Miranda Gold, novelist and author of ‘Starlings‘ – ‘Writing in the Dark’ explores her experience of working with a writing coach: our Founder Jacqui Lofthouse. I arrived at the British Library for my session with Jacqui on three hours’ sleep, carrying an embryonic first draft and unsure how this could bring any coherence to my life or my writing. Jacqui was unperturbed. 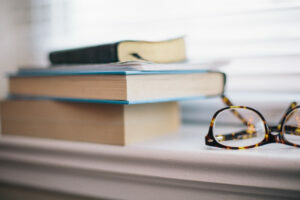 ‘I have a hunch,’ she said, ‘we might need to focus on the coaching side of things.’ It wasn’t what I wanted to hear of course and Jacqui was intuitive enough not to press the point. Instead she brought out the manuscript I’d sent her and, between offering her responses, began helping me to find way ways I could make writing part of the fabric of my life – I didn’t realise it then, but by shifting between the two she was translating her suggestion with the same precision she would bring to her reading of my work: the writing and the life can be interwoven into a seamless whole. This has very little to do with writing from life and very much to do with writing in and with life. The impact of this may have been delayed (almost everything is with me) but it has been enduring. Since then writing has been my anchor and it seems it’s impossible to underestimate just how many influences, however apparently fleeting, have laid the foundation for my writing. The process has been different with each new piece and the blank page becomes more terrifying, not less, but the fabric becomes stronger and more intricate; the sense of urgency to build worlds out of words supersedes the fear. It’s something of a cliché to speak of how a writer will be carried by the momentum of the story once they have breathed life into it, but it holds true. 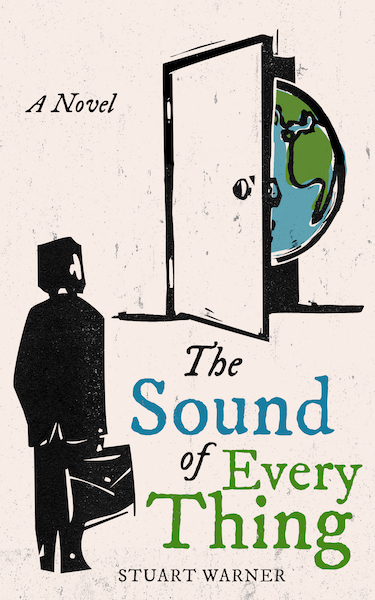 Yes there may be countless returns and revisions but at least it is alive on the page, here is a world that a reader can meet. Jacqui also recognised that how I pieced together the novel that would become ‘Starlings’ would be inextricable from the story itself, she could read the modernist influences and see that much was being communicated by the rhythm itself, aware that this would be next to impossible to sell or fit neatly into a box but encouraging me regardless. The point is she didn’t try to push me in any direction other than for what clarity would look and sound like for this particular novel. It would have been all too easy for her to urge me to cut away ambiguity, insist on linearity, create something that could be swallowed whole. Instead she listened to it and read it on its own terms and took me – in my blurry-eyed state – on my own terms too. Sometimes what a writer needs most is to be given license to find a the shape for a story even if it isn’t immediately comparable to whatever else might be flying (or not) off the shelves. So I stood by the risks I’d taken because the story of ‘Starlings’ might have been told any number of ways but the way it has now been told is the most honest communication of an experience of living a legacy of half-told stories that couldn’t be easily tidied up into a single meaning. I would be several drafts into my second novel before I found a publisher for ‘Starlings’ but it now has a home and has found readers who have brought out meanings I wasn’t aware of, reminding me again that a book doesn’t end on the page. 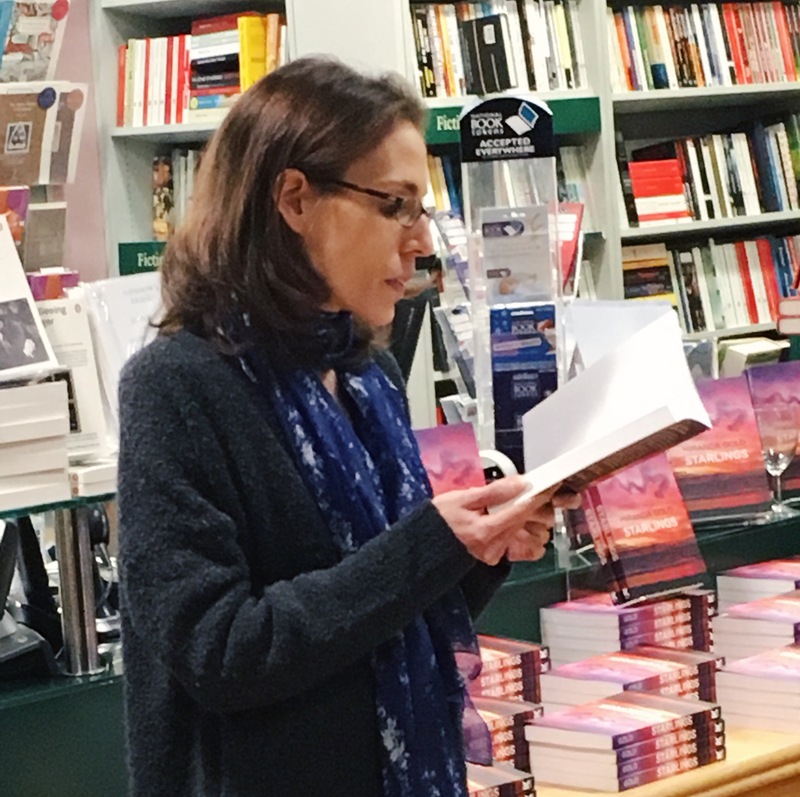 Writing is necessarily solitary but making connections is at the heart of it – not only within the book itself but with the books it may be in conversation with and the readers who engage with it. I’m now working with the pioneering Unbound to publish my second novel, ‘A Small Dark Quiet.’ Though it may be easier to classify, I knew it was likely it might fall through the cracks. That was why Unbound appealed to me – they’re passionate about opening the door to ideas that might not fit easily on a traditional publisher’s list. 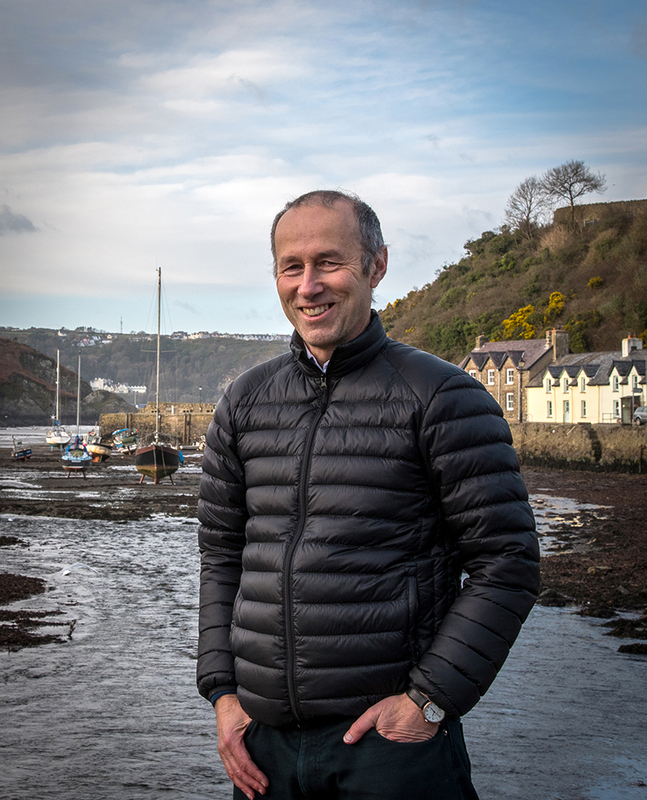 They’re the first traditional publisher to work through crowd funding and I really feel they are helping to make significant changes in the literary landscape – maybe the reader can help shape the market after all. It’s going to be a challenge but there is a lot of support. I don’t know that any route to publication is easy but I’ll keep taking up the challenge as long as I have a story to tell. Miranda Gold’s new novel ‘A Small Dark Quiet’ will be published by Unbound – you can support the novel here. 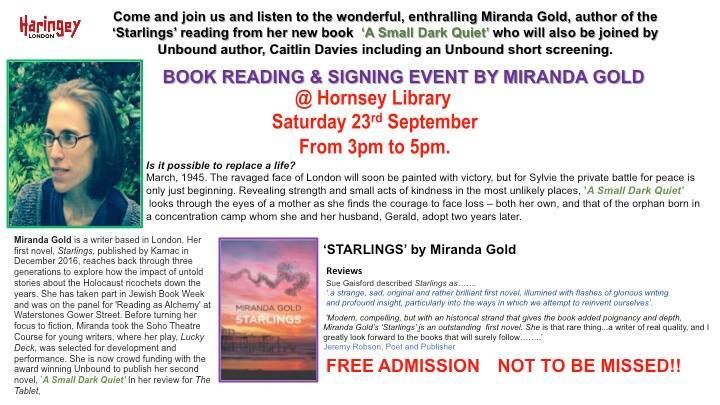 Miranda Gold will be reading from her new book ‘A Small Dark Quiet’ at Hornsey Library on Saturday 23rd September from 3pm-5pm. She will be joined by fellow Unbound author Caitlin Davis and the event will include a short Unbound screening. More details of the event are here.